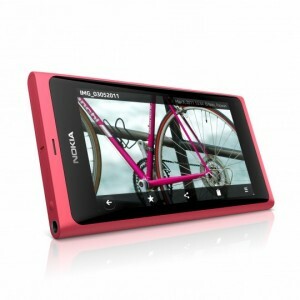 Nokia N9 Is Now Shipping To Stores, Will You Buy One? Finally the MeeGo device of Nokia, the N9 is now on its way heading to the nearest stores in your place, as it was announced on NokConv. Nokia N9 features the most unique design and packed with heavy hardware and software kicks. To start with the design, it has curved multi-touchscreen covered with Gorilla Glass proofing for scratches protection. Its uni-body design is made of top poly-carbonate material that are available in three different colors of Cyan, Magenta and Black. N9 is running on 1GHz cpu and with 512MB RAM, and with choices of 16GB or 64GB for storage. While the software that N9 runs with is the latest Intel and Nokia platform product, the MeeGo. And top on that, the new SWIPE UI is being used in order to simply and leverage your thirst for fluid and elegant interface experience. So, will you get the Nokia N9? Me, I’m still waiting for Nokia World 2011 news. If I will be invited, there’s a chance I will buying the N9. Awesome. what color did you picked? Cool! 64GB will is a monster! Not buying one. Price is too high. Good one. But N9 units are limited…rumor says. It’s MeeGo. The Nokiasoft phone is not yet announced. I just cancelled my order. Maps are useless. There is no “plan a route”. You can’t plan you travel A-B-C. I’ll switch to Android, sorry Nokia. What do you mean travel by A-B-C? via road drive or walk? I think for now the feature is not available but soon we will have it too. Nokia Maps (beta labs version) is very fast and I like the new weather app. You should try it for urself. I mean A-B-C. Now you can’t plan a route with intermediate point. I try and come back to 3.07.
that same is in MeeGo maps. Now you know why I cancel my order? And what app on Android is better than Nokia Maps.. ? Nokia has good Navteq maps, but poor software. Sygic, google, HTC locations premium, Garmin, Navigon. I am planning to buy one from Hongkong market. I am Korean and I am dying to buy one! did u buy your N9 kwon? also tell me if u buy this device from hongkong or elsewhere, will it work in korea too?